Welcome to ISMP Directory of Members! The International Society of Meeting Planners (ISMP) serves as a medium for meeting planners to communicate not only on a national basis, but on an international basis as well. 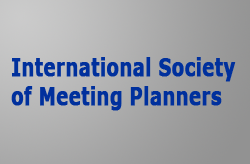 The international Society of Meeting planners is currently represented by members around the globe. The primary objective of the International Society of Meeting Planners is to provide professional recognition and a method to easily network with recognized professionals both internationally as well as within your own nation. There are 48 members in this directory. Members are grouped by State first then by city. To find a member in your area, search for your or near-by cities. Details & Florabunda Designs, Inc.